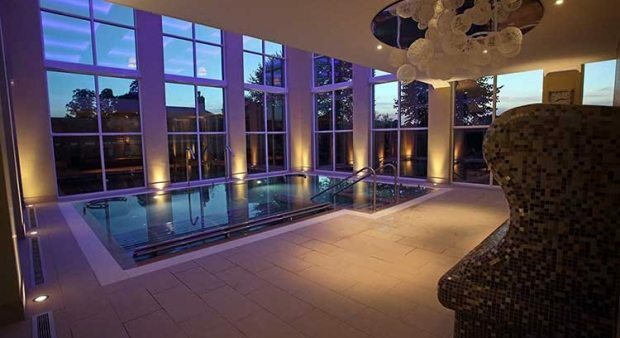 Enjoy total luxury and pampering at our stunning spa hotel based near the Essex area. Located in the heart of Suffolk, our spa hotel is just one hour from Essex and has a range of days, breaks and packages. Set in a stunning Georgian building, our grounds are a truly beautiful place to enjoy a weekend away from it all! We have various different spa days, breaks and packages available at our luxury spa and hotel. Whether it’s just a day you want, or a full weekend of bliss near the Essex area we can provide it! For a blast of relaxation, our spa days offer the ideal way to spend a day with a loved one or friend, enjoying our range of lavish facilities and features. Enjoy a spa day for two with your partner, which not only includes full access to our spa, but an ESPA treatment and two course lunch to make your day even more special! Our champagne spa day is another one of our most popular spa days, enjoy full use of our spa plus a facial, Jessica nails manicure and glass of champagne on arrival! It’s the perfect opportunity for a pamper and catch up with the girls. Relax and soak up the calming atmosphere at our five bubble rated spa. We have a stunning range of facilities available to all of our spa guests. Enjoy use of our stunning hydrotherapy pool, with water jets to ease the tension in your back and shoulders. Or why not head up to our rooftop pool and enjoy the warmth and bubbles whilst breathing in the fresh countryside air. As well as our popular water features at the spa we also have a luxurious sauna, steam room and hammam table in our heat area. Or why not slip into one of our private steam rooms and enjoy a range of body muds to detoxify the body and cleanse your skin. It’s great fun either on your own or with a partner or friend! Want to make a full weekend of it? We have various spa breaks and packages available for a full weekend of relaxation. After a day at the spa, wind down in one of our 4 star hotel rooms, and why not make use of our 2 AA rosette winning restaurant too? There’s plenty of areas to grab a delicious bite to eat, from our spa lounge, to our restaurant and relaxing bar. View our weekend spa breaks and packages at our luxurious spa near Essex!